Sheffield Village Ohio Homes for Sale – Welcome to the small, close knit family friendly city that is right off the coast of Lake Erie! Enjoy Lake life at a reasonable price! Nestled about 40 minutes West of downtown Cleveland, Sheffield Village is part of Lorain County. You’re likely to find clusters of ranch, colonial and split level homes with families who would all agree Sheffield Village is a peaceful place to live. There are large playgrounds nestled on green grass spread about the city! The older youth can practice their skateboarding or BMX skills at the nearby outdoor skate park! While searching for Sheffield Village homes for sale, it’s key to remember that commuting to and from downtown Cleveland is no problem! I-90 will shoot you downtown and back; opt for the scenic route and take a drive down Lake Road! It might take you longer but you’ll be amazed at all the mansions lined along the shore of lovely Lake Erie. Take the family down to the beach on hot summer days! Whether it’s a visit to the park or beach, there are plenty of free things to do in Sheffield Village! Sheffield Village Ohio homes for sale range in the mid 100-200k depending on size and acreage size. You can find new build and resale homes alike. If you’re wanting to decorate your new home, stop by At Home off of Cobblestone Road. Midway Mall is in neighboring Elyria, Ohio. You can find designer stores and places to eat close by! Sheffield Village Ohio homes for sale offer potential home buyers with more bang for their dollar. Statistically lower tax rates and capitalizing on the small town Lake life makes Sheffield Lake appealing to many. Search below for Sheffield Village Ohio Homes for Sale. 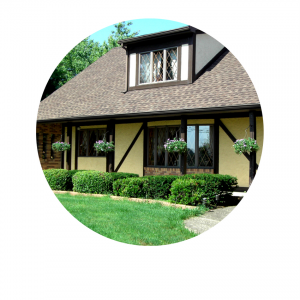 Contact our sales team for more information about Sheffield Village Ohio homes for sale.